Till now we all were aware about the truth that tech companies gave legal access to user data on the government's request, but we were unaware that well known tech companies also charge the government for providing data. Syrian Electronic Army (SEA), the pro-hacker group, who had compromised Microsoft's Twitter account and blog, earlier this year and Microsoft did announce a breach on its blog earlier this year. "It appears that documents associated with law enforcement inquiries were stolen,". It seems that they have achieved something bigger than we expected by once more targeting Microsoft. 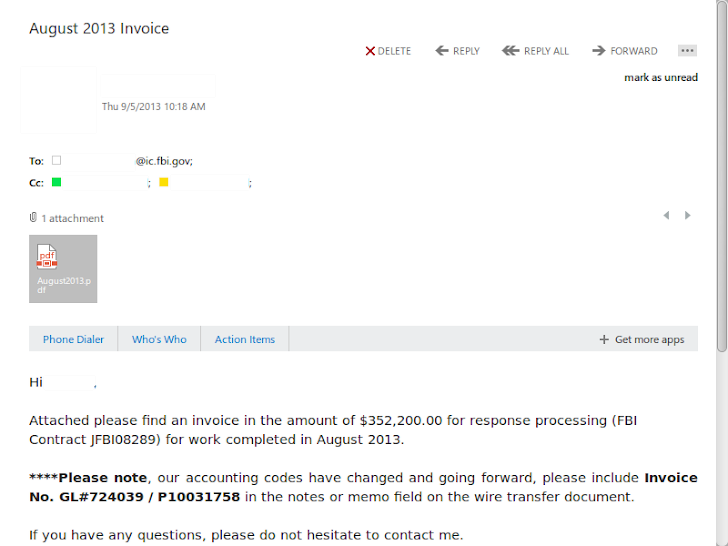 This time the SEA hacking group has managed to successfully get into the FBI's super-secret Digital Intercept Technology Unit (DITU), where they found the actual invoices from Microsoft; detailing how much each request for data cost, which means that the company charges for every document they provide to the FBI agents, Daily Dot reported. 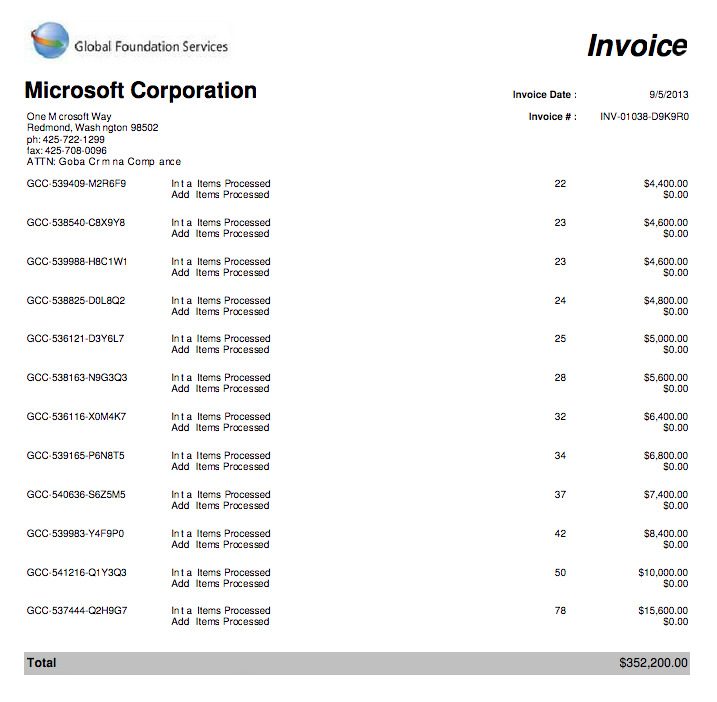 The invoices above shows that Microsoft charged the DITU $145,100 in December 2012, at a rate of $100 per data request. In August 2013, the per-request rate increased to $200 and the latest Invoice dated November 2013, showed a charge of $281,000. These documents show how frequently the government calls on tech companies for information and could be possible that Microsoft isn't the only company that charges the government for compliance with data requests. The group aligned with president Bashar al-Assad, is popular for targeting western countries and media and had victimized various high-profile brands and VIPs’ twitter accounts and websites, like Forbes, Obama, Facebook, CNN, eBay and PayPal in the past using phishing techniques, and recently claimed to compromise central repository of US central command (CENTCOM).